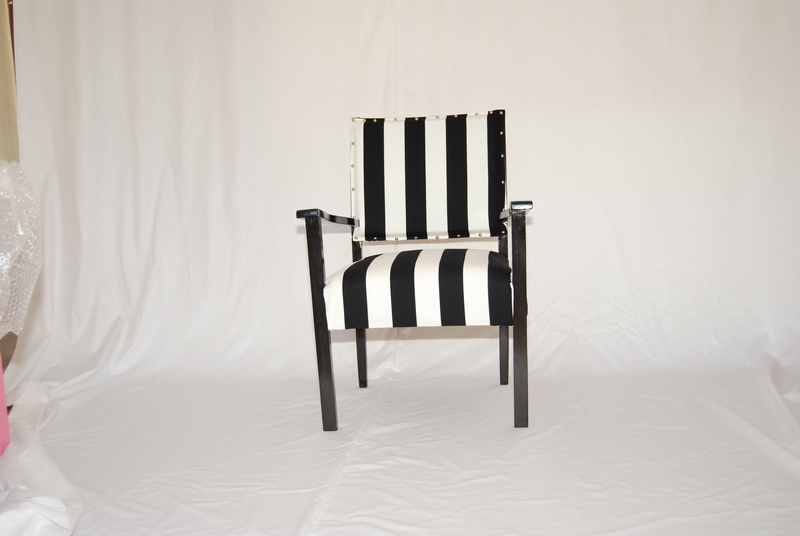 Bedside chair – restored. 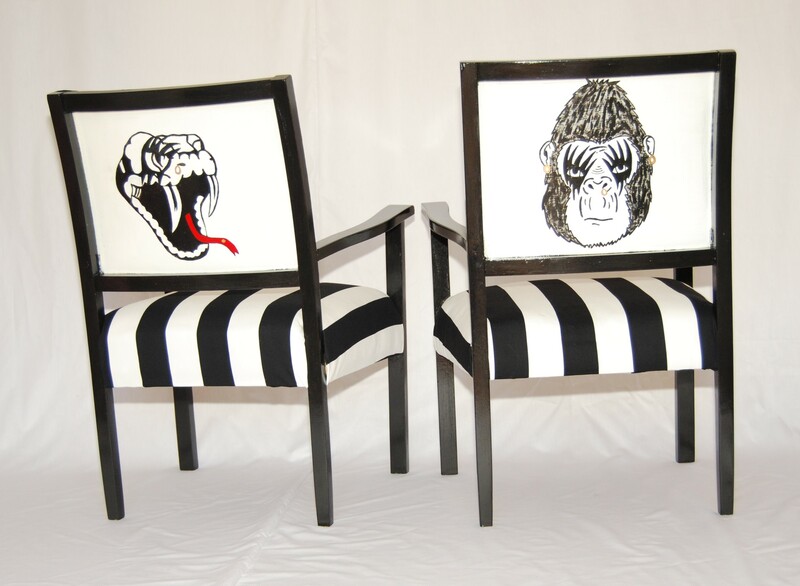 Gorilla artwork on rear. 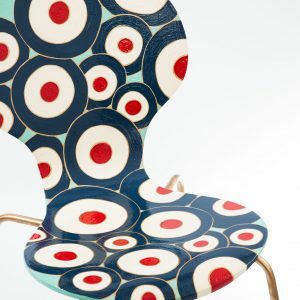 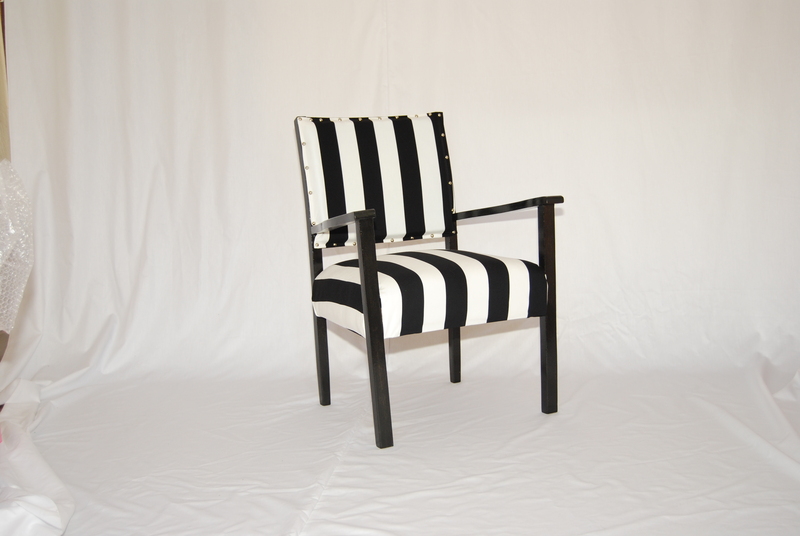 The originals dating from ‘50s items, now totally re-designed and traditionally re-upholstered. 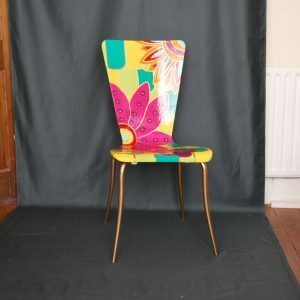 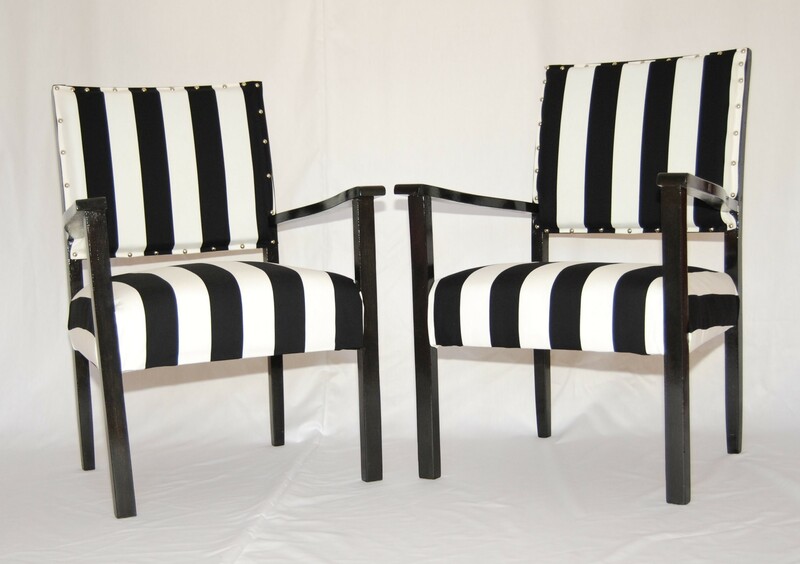 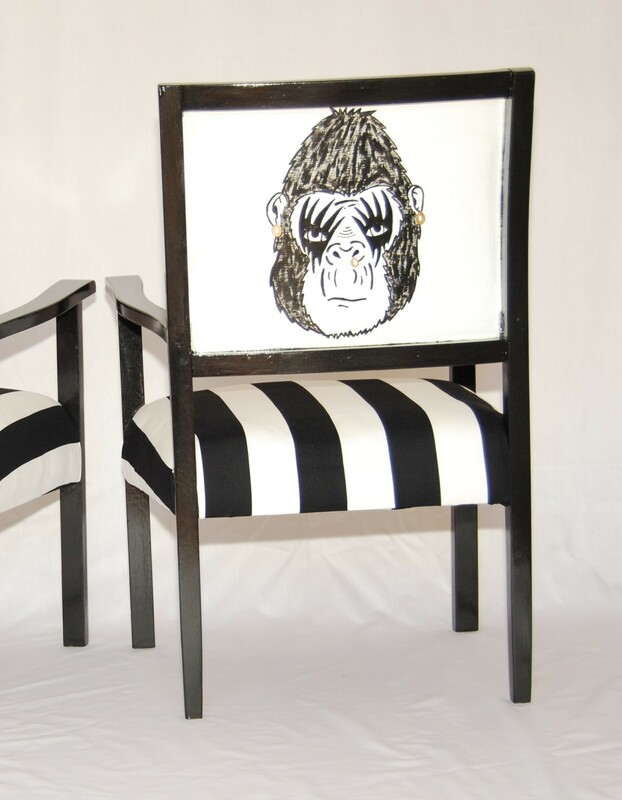 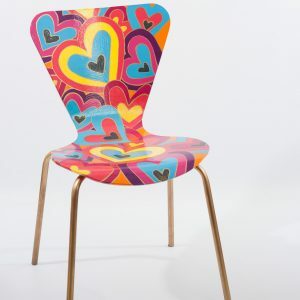 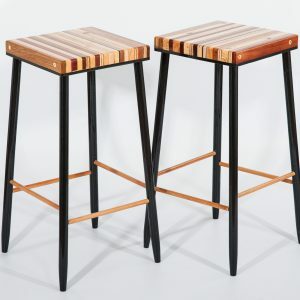 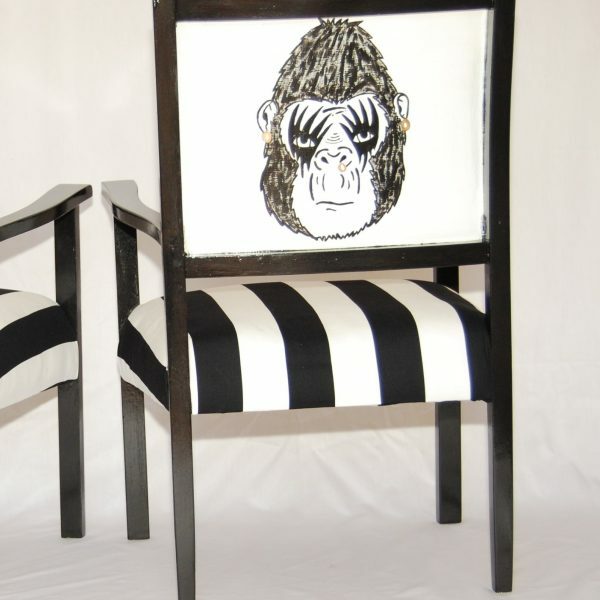 These bedside chairs extend the sharp black and white styling theme through to the pop-art decoration of the seat backs.